I like the packaging which is a light blush with pink lettering and a picture of a coconut, yummy! Both the shampoo and conditioner come in 250 ml tubes. 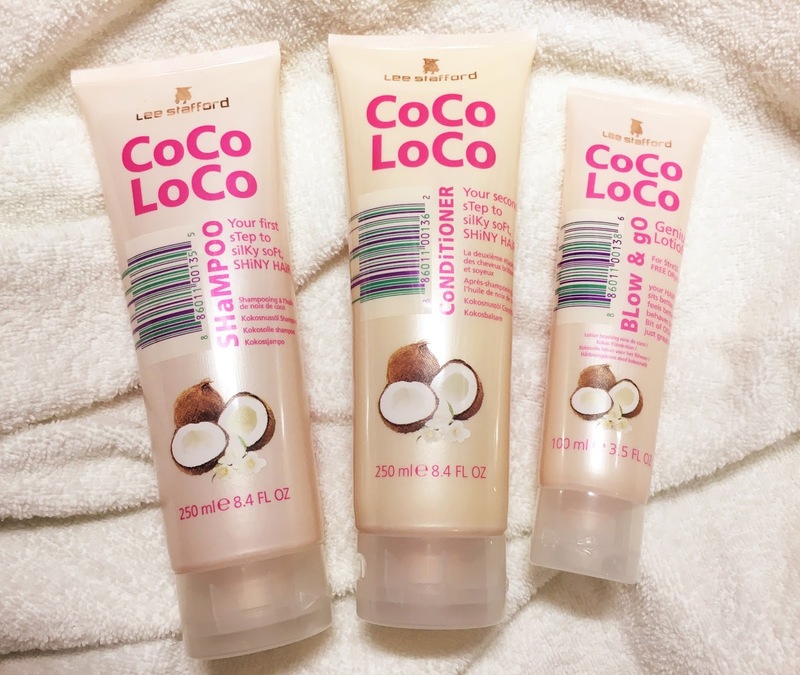 The shampoo is a white-ish cream and smells like delicious coconut - not artificial. The second ingredient on the list is Sodium Laureth Sulfate (SLS) which is a foaming agent and usually strips the hair of moisture, so that's not too positive. Glycerin and coconut oil only feature halfway down the ingredient list. I've only been using it for a couple of washes but I find that it tends to weigh down my hair somewhat. The conditioner also contains a few types of alcohol, but coconut oil at least appears a bit higher up on the ingredients list than the shampoo. The conditioner is a white cream and feels nourishing on my hair. That being said, I seem to struggle to comb through my wet hair even while I have the conditioner in my hair - not too promising. All in all I like the texture and the smell of the products, but as far as performance goes I prefer my other shampoo and conditioner pairs. This product claims to be for "stress free drying" and "Your hair sits better, feels better, behaves better, bit of oomph, just great hair". That's a lot of claims for such a small tube! I rub a peanut sized amount onto towel dry hair and massage it into my lengths and tips whilst avoiding the roots. I find that my hair dries slightly quicker when I use my hairdryer, and my hair feels very soft and manageable. To me this is the standout product of the three. There are other products in the range which I might try later on. Have you tried any of these products? Let me know in the comment section! I haven't tried any of these products, as I heard a few bad reviews, but now I'm intrigued to try that Blow & Go one! Yah I was quite torn as I've heard mixed reviews, but it didn't blow me away. I am quite keen on trying other products in the range as well. Thanks for commenting!